Sleep cycles: Why do some people stay up late and others get up early? 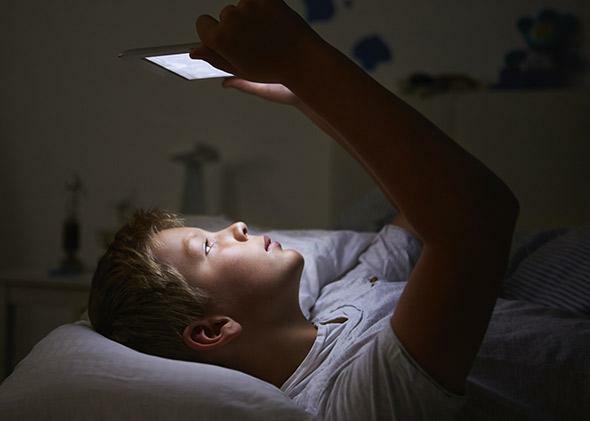 Why Are Some People Early Birds and Others Night Owls? This is not helping you sleep. Your sleep cycle is primarily regulated by circadian clocks that drive rhythmic fluctuations in hormone levels. Humans have several of these, but we only really understand the main one, which is in your hypothalamus, way down near the base of your brain. Here’s how it works. Your eyes contain special photosensitive cells (in addition to the rods and cones you use for normal vision) that reach back into your hypothalamus. When light touches your eyes, these cells alert the hypothalamus, which uses the information to decide whether it’s daytime based on a roughly 24-hour cycle. When your hypothalamus decides it’s nighttime, it tells your pineal gland to secrete melatonin. And melatonin makes you sleepy. Artificial lighting at night confuses your hypothalamus. It thinks, Oops, I’m out by a couple of hours. So it tries to correct by making you sleep longer in the morning. People also often shut out morning light with curtains, confusing their hypothalami even more. That night, your hypothalamus sticks to its new schedule, so you get sleepy later, so you keep the lights on later, and your hypothalamus decides to shift your cycle even further. In experiments where people are kept away from natural lighting, they tend to maintain a circadian rhythm about 20 minutes too long. So it seems our natural clock isn’t that reliable to begin with; we’re heavily dependent on natural lighting to keep it accurate. By the way, circadian clocks also decrease your heart rate, lower your core body temperature, and lower your cortisol (stress hormone) levels each night. In fact, recent research shows that screwing up your circadian clock disrupts the function of more than 1,000 genes. It’s been suggested that modern sleep patterns are highly unnatural, resulting from the prevalence of artificial lighting and chronic sleep deprivation. It’s claimed that preindustrial and tribal societies normally sleep in two four-hour shifts, with a two- to three-hour awakening in the middle. This pattern has also emerged in people who were experimentally kept away from artificial lighting. Lastly, there seems to be a genetic component to whether you’re an early bird or a night owl, and brain imaging studies show consistent differences between these groups. Night owls are more prone to depression, drug use, and insomnia. On the up side, they’re better at reasoning, more productive, wealthier, and more professionally successful. So if you’re a night owl surrounded by early birds, don’t let them bully you into a cycle that may simply not suit your physiology. Keeping your circadian rhythm (fairly) stable and getting enough sleep overall are what matter—not what time you go to bed. Human Behavior: What are common activities people get wrong every day but don’t know it? Sleep Habits: How much sleep is enough? Evolutionary Psychology: What is the evolutionary advantage of dreaming?